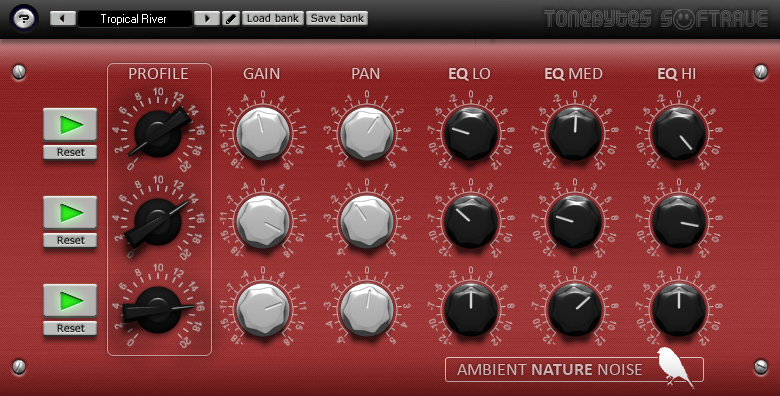 Ambient Nature Noise is a VST format plug-in for Windows, which adds the sound and atmosphere of alive and lifeless nature to your recordings. The purpose of the plug-in is to add sounds typically found in the surrounding world. For this goal, Ambient Nature Noise has 21 sound profiles, including the sound of birds, insects, bats, trees and other flora and fauna, and the sounds of lifeless nature such as sound of waterfall and rain, wash, fire crackling and much more other. There are three slots in ANN which you can use to mix different noise profiles to produce complex and variable noise environments. With the help of the embedded equalizer, it is possible to either emphasize or mute those parts of the noise profile you want. The features of the equalizer are selected in such a way that it keeps its use of noise sounding natural. In the set there are 32 of Factory presets based on 21 of noise profile. The built-in preset manager makes it easy to save the settings and quickly access them or share them with other Ambient Nature Noise users. 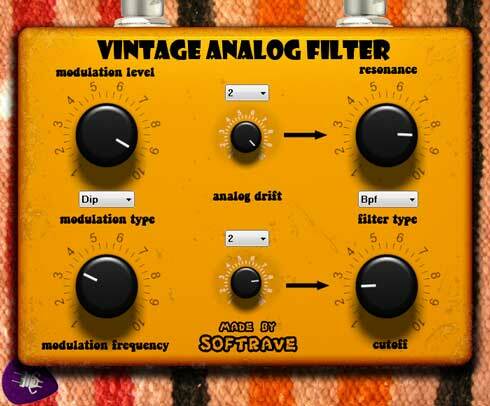 Vintage Analog Filter VST is constructed to emulate analog instability of electric circuits of vintage filters. 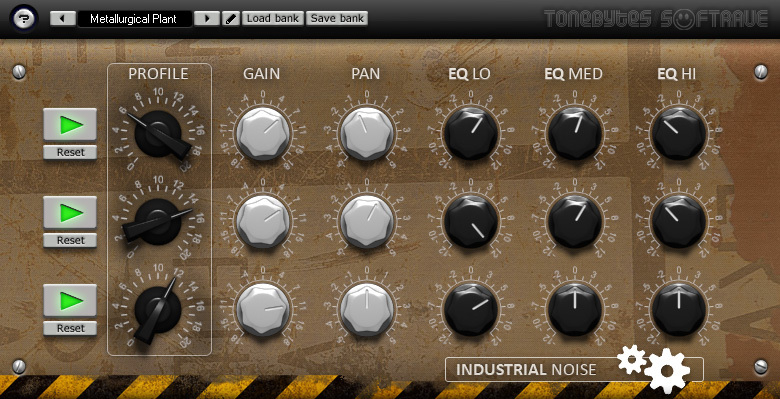 You can control the level of analog detune with analog drift section. you also have big choice of waves to modulate filter to make psychedelic, cosmic or just disco and house effects. With this plug you can add some vintage analog feel to boring digital sound. 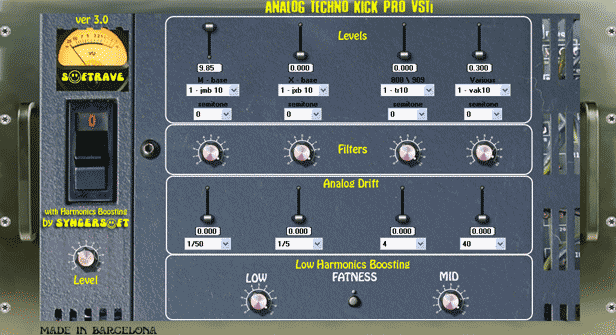 Analog Noise VSTis an easy-to-use virtual effect plug-in for Windows which adds the sound and atmosphere of analog recordings to your tracks and mixes. We provide customers personal signed copy of VST Your name will be written at plugin interface. We want to protect our intellectual property that we sell for affordable price. Thank you for understanding.